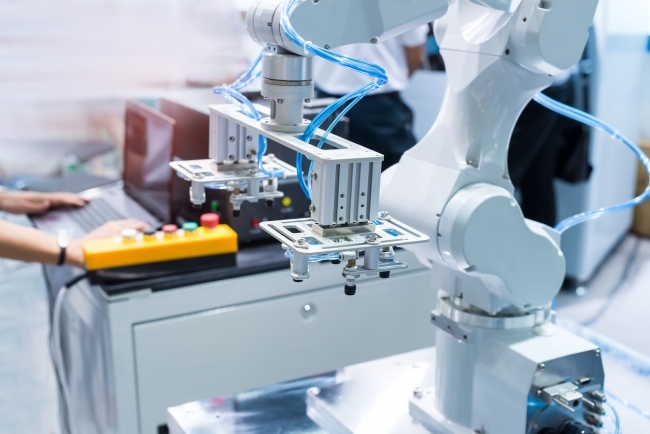 Nick McGrane from K3 Syspro shares his thoughts on why manufacturers, particularly SMEs, need to look at Industrial Digital Technologies to increase productivity and effectiveness in manufacturing. When Danny Boyle dramatised the industrial revolution for the Olympic Opening Ceremony in 2012, he portrayed not just the machinery, but also the social change. Workers moved from the land to the factories, creating large towns and cities, and adopting new working practices and behaviours. It was a social revolution too. Now, we are experiencing a new industrial revolution. It too will have immense impact, causing ripples throughout society. Some jobs will be replaced by intelligent robots, while other people will have new electronic companions, so called cobots. Two thirds of the children in primary school will work in jobs that don’t even exist yet. In the future, manufacturing processes, working life, and our relationship with technology will be quite different. You can probably name the technologies that are having the biggest impact on industry today, or that are expected to in the near future. The Internet of Things or Industry 4.0 has been around as a concept for a few years now, and has been proven in many companies. There is still much potential, though, especially for connecting legacy machinery. Robotics come on leaps and bounds in recent years, both figuratively and literally. We’ve all seen the videos online of robots that demonstrate uncannily human or animal-like behaviour. Robots can take on increasingly sophisticated tasks, with improved dexterity and analytical capabilities. That brings me to the third major technology transforming industry: artificial intelligence. When these technologies are combined, the sum is very much greater than the value of the parts. For example, connected devices can generate huge amounts of data, which artificial intelligence can be used to analyse. 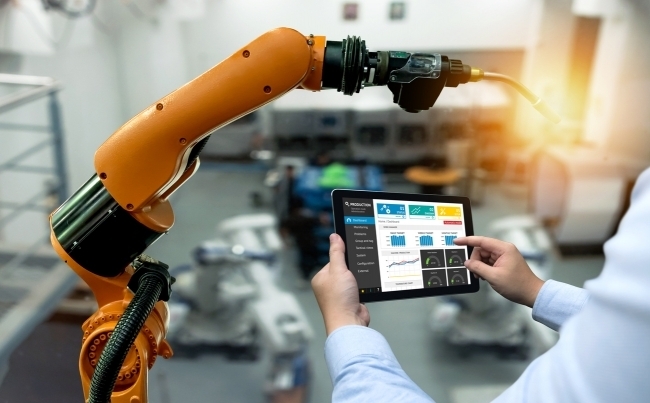 That can lead to new models for identifying defects on the production line, or identifying machinery at risk of fault, and robots can be used to intervene automatically. The term Industrial Digital Technologies (IDTs) has been coined to cover these technologies and others that are increasing productivity and effectiveness in manufacturing. The UK government’s Made Smarter Review (PDF) said that IDTs offer the promise of recapturing the UK’s industrial spirit as a nation of creators and makers. • Optimizing supply chains and manufacturing processes to reduce environmental impact and make industry more resilient to global supply disruptions. Digital Technologies have the potential to add US$14.2 trillion to the world economy over the next 15 years, and the Internet of Things and Big Data between them make up the lion’s share of this figure. So why are many manufacturers, in particular SMEs, still slow to adopt IDTs? The Made Smarter Review asked manufacturers what was holding them back, and the answers fell into two broad categories: technology issues, and organisational issues. The technology issues included cybersecurity concerns, slow Internet connection speeds, and legacy equipment. In my view, it’s worth modelling the business case for investment because although these can be expensive problems to solve, the savings from IDTs will often make it worthwhile. The organisational issues mostly concern expertise. Manufacturers said they had a limited understanding of technologies and the opportunities, they were lacking trusted advice, and they didn’t have the skills to implement the technologies. I was particularly struck by the figures around Enterprise Resource Planning (ERP) adoption cited in the Made Smarter Review. European Commission data for 2015 shows that 17% of UK enterprises use ERP systems to share data internally and enhance productivity. That’s half the EU average, and the problem is concentrated around companies with fewer than 250 employees. Clearly, the UK is falling behind competitors in Europe in this fundamental technology. Perhaps the lack of an ERP system is also an unspoken barrier to adopting AI, robotics, and the Internet of Things. After all, if you don’t have processes in place to manage information and make decisions based on it, it’s hard to see the value in collecting it. If you haven’t optimised and automated your existing processes, you probably don’t have the time to invest in innovation, either. So I’d like to extend an offer to help: if you’re one of the SMEs that doesn’t have the skills or knowledge to implement ERP, and it’s stopping you from innovating, get in touch with us. We’ve helped over 15,000 companies in more than 60 countries over the last four decades, and we would love to be part of your revolution.